Chairs - Santa Gene in Tacoma! This is my folding portable chair. 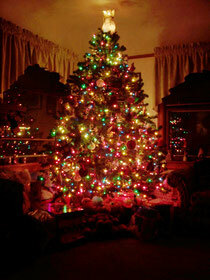 It can be brought to sites or homes. It sets up in minutes and makes a great back-drop for pictures. 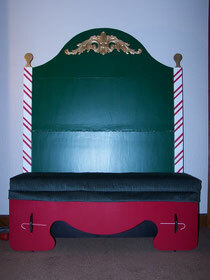 It is 4 feet wide and just over 5 feet high, so it can sit Santa and the family on it. My thanks to TampaSanta Jim (www.CouchForClaus.com) for his plans for the seat. This is my "throne" type chair. 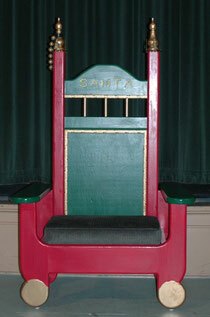 The arms are sturdy enough that adults can sit on them and there is enough room on the chair for Santa and friends! !